and that's simply to name a few of the changes and evolution of nail lacquers. 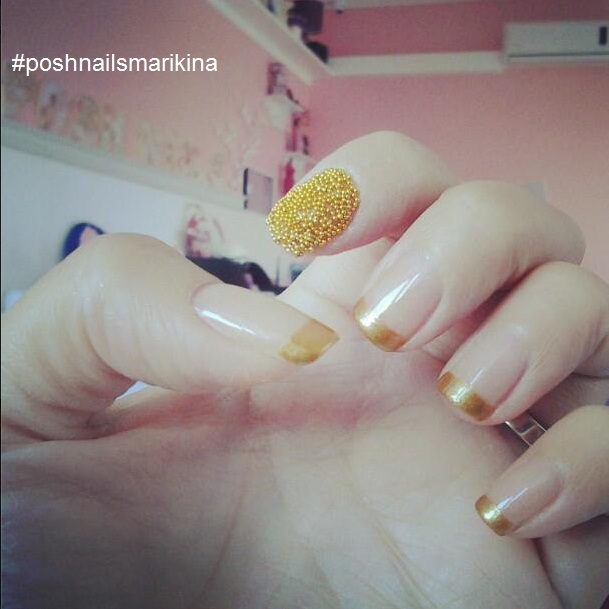 This year, we see caviar, velvet, foil, ombre, glitter and accent nails. Although these trends have been in the market for some time, it's becoming more and more popular this season. 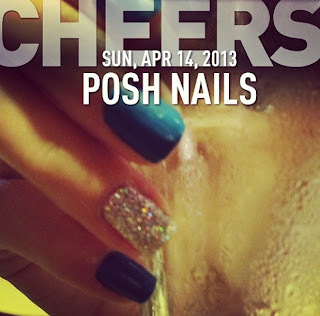 At Posh Nails, we try our best to meet, even exceed your artistic nail art cravings. 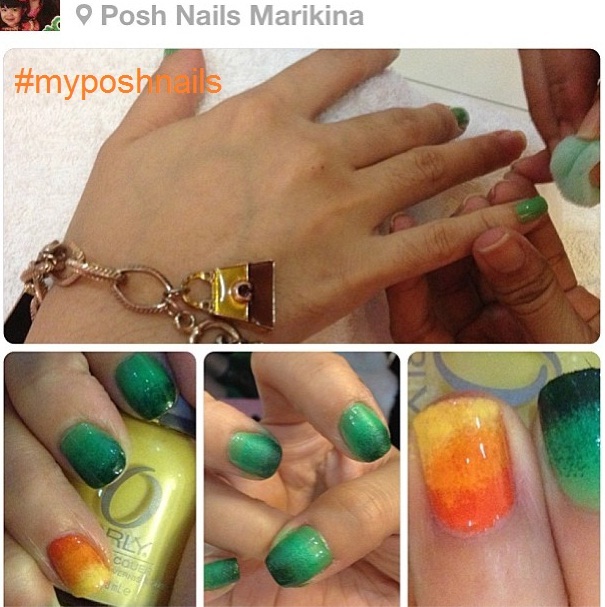 Do call us in advance for your appointment, discuss with us your nail art peg or bring a photo of your inspiration. 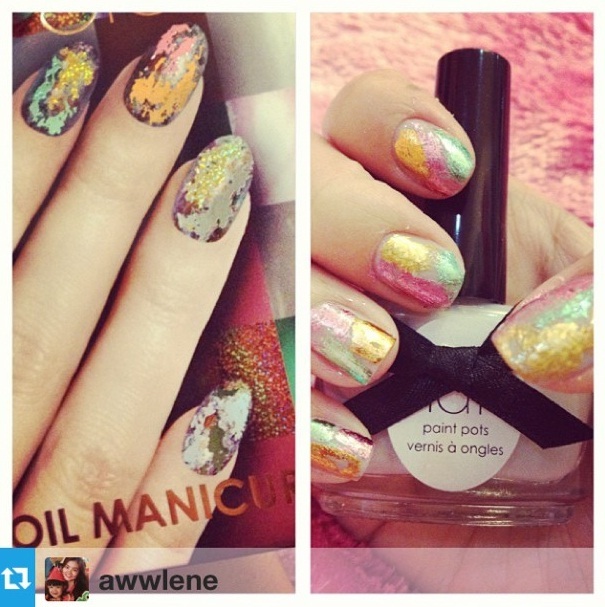 6 Nail Art Trends we are loving now! We are also digging accent nail, where the ring or pointed finger stands out from the rest of your nails. We love bling and/or contrasting color. On above and below photo, accent nail design is Caviar. 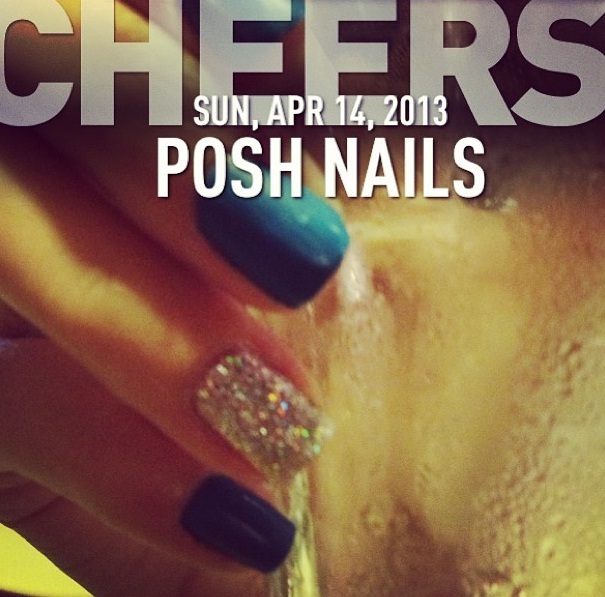 2) TEXTURE - Do you notice the texture of the blue polish below? Yes, it is as textured as it looks (and feel!). It's velvet! 5) GLITTER - Shine bright like a diamond! Indeed, with glitter art, you'll be shining your way through summer. Here, it was used as an accent over matte polish. 6) FOIL - And one of our favorites, the foil manicure. 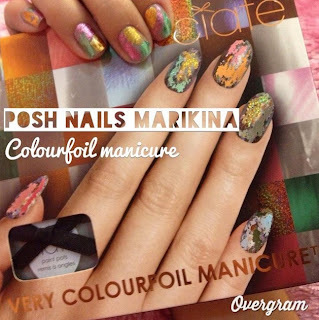 It adds the right amount of shimmer, texture and color to your nails. Do drop by at Posh Nails for all these popular trends and more!